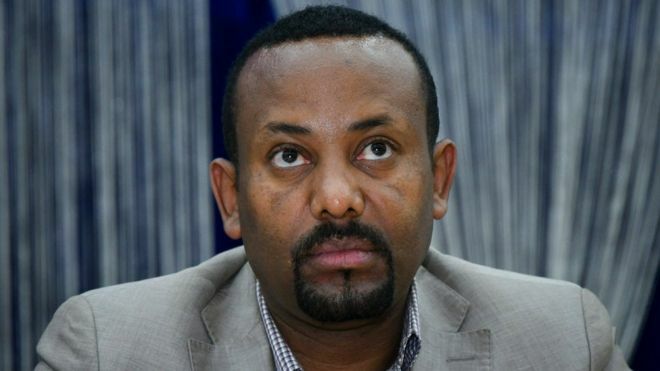 An explosion has shaken a rally for Ethiopia’s new PM Abiy Ahmed which was being attended by thousands of people in Addis Ababa. Mr Ahmed was taken away by security personnel immediately after his speech, which he gave in the Ethiopian capital’s Meskel Square. There were no immediate details of any casualties. Mr Ahmed became prime minister after his predecessor Hailemariam Desalegn unexpectedly resigned in February. Ethiopia has been riven by years of protests by people who feel marginalised. Its government has been accused of human rights violations including torture and extrajudicial killing of political dissidents.